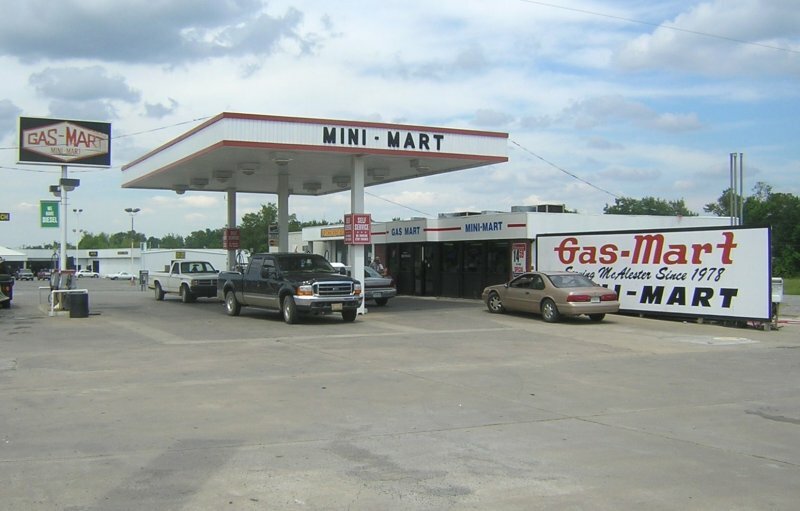 Two views of a Gas Mart in McAlester, Oklahoma. Taken August 6, 2004 by David Backlin. 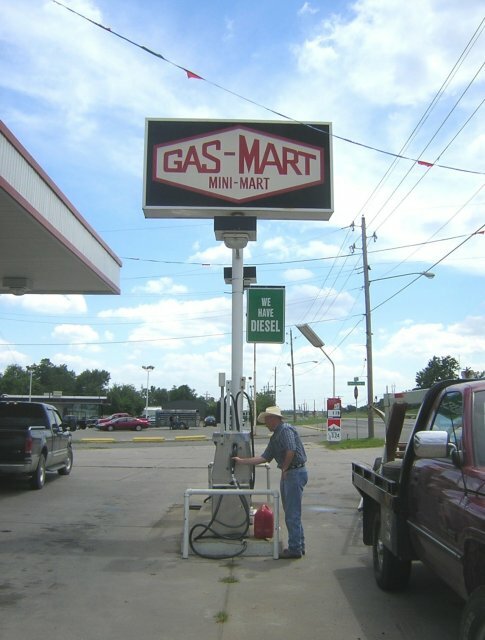 Gas Mart is common in northern Florida. 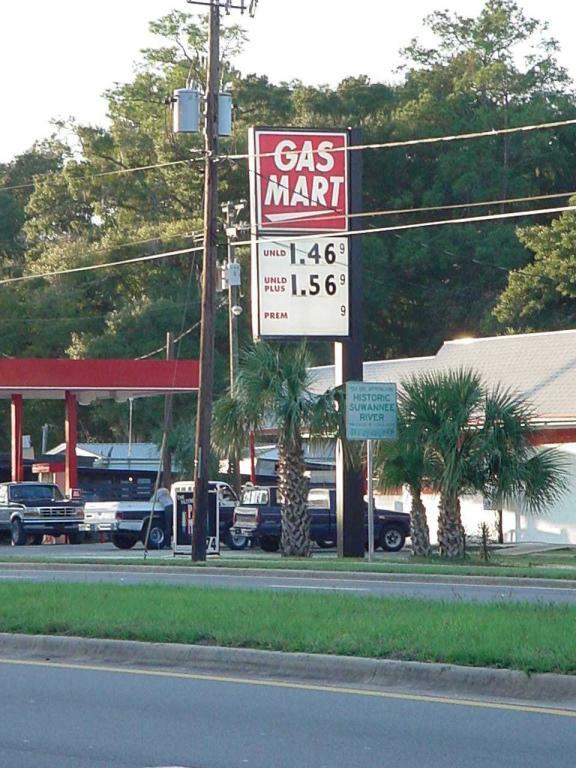 This one is on US 19/98 in Fanning Springs, FL. Photo by Tod Allen, Nov. 2002. 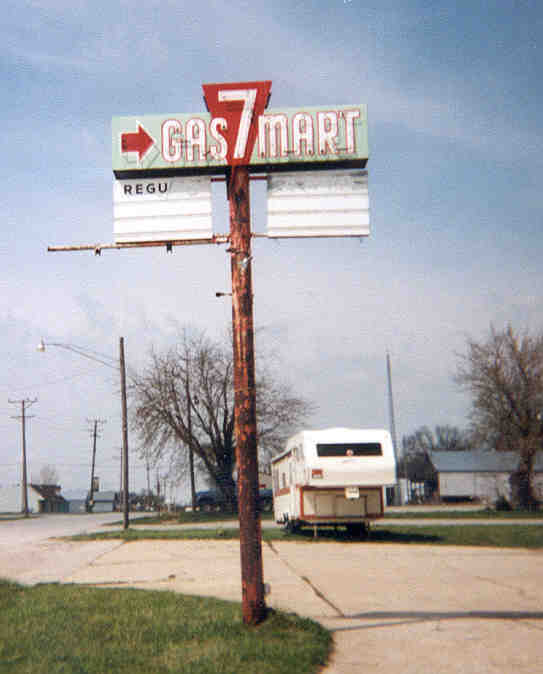 Another Gas Mart, along old MO 7 at Garden City, MO. Donated by David Backlin, May 2000. Note: I'm guessing that none of the above locations are related at all.